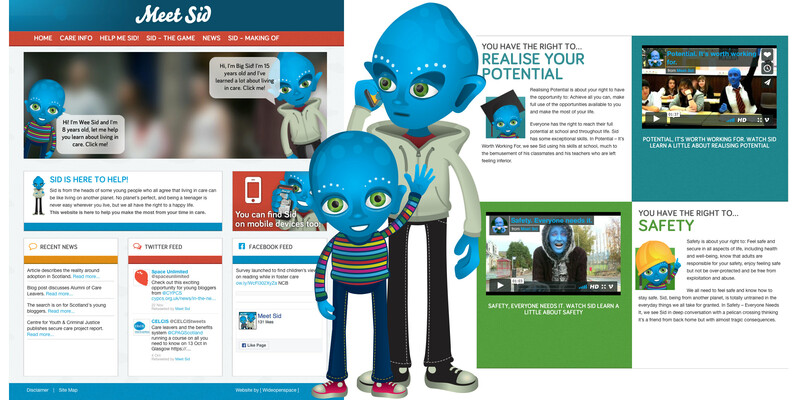 Sid the Alien is a metaphor for how some young people living in care say they felt when they first arrived in care. Based on an original idea by a group living in care, Sid the Alien has helped relay the National Care Standards through a series of 6 short films and a website. Wideopenspace was responsible for the design and development of the Meet Sid website along with the production of 6 short films to communicate the tenets of the National Care Standards. The films were made in collaboration with young people in care together with help from the Rep Dundee.